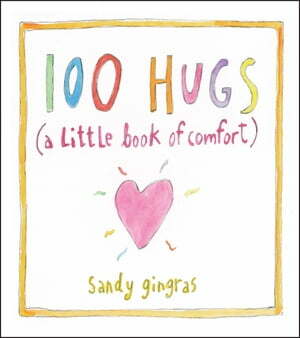 Collins Booksellers - 100 Hugs by Sandy Gingras, 9781449446246. Buy this book online. There are times in life when all you need to find solace is a small gesture of consolation. 100 Hugs, a collection of everyday comforts, offers such solace. Each hug is a reminder to slow down and take comfort in the little things, from indulging in warm cookies and milk to watching fireflies on a summer evening. Sandy Gingras’s “hugs” are the beacons of light that shine through the fog of everyday life. Sandy Gingras’s uplifting words illustrated with her original watercolor art create pretty little “hugs.” These hugs are perfect to give as a gift or to keep for your own personal growth. They are nourishment for the body, mind, and soul, reminding you to take a step back and become that flourishing version of you again.